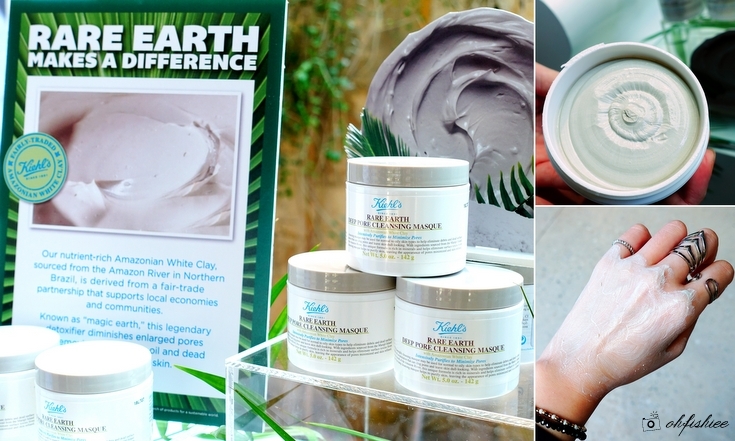 Kiehl's first roll-out in Malaysia this year is all about face masks. 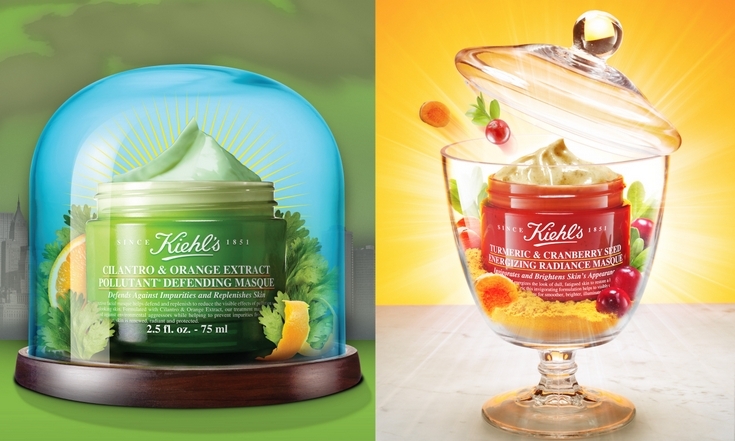 Given the rich heritage and known benefits of Kiehl's popular ranges of facial masques, it recently introduces two new members to its masques family: Cilantro and Orange Extract Pollutant Defending Masque and Turmeric and Cranberry Seed Energizing Radiance Masque. I am amazed by this innovative combination of cilantro and orange. 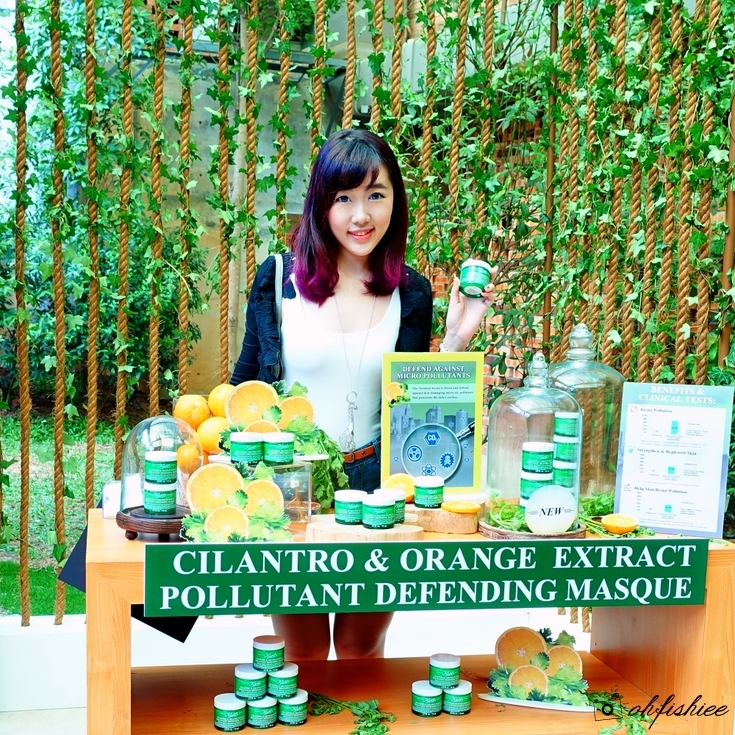 Pollution is unavoidable in this country, but do you know that it can affect our skin badly? Prolonged exposure towards environmental aggressors will lead to dull skin complexion, uneven skin tone and visible signs of aging. Hence, this pollutant defending masque is here to rescue our skin! It features 3 levels of protection and treatment against the damaging effects of pollution on skin-- (1) Replenish skin and fight skin damage, (2) Strengthen skin to further protect it from the effects of these and finally (3) Shield against pollution. 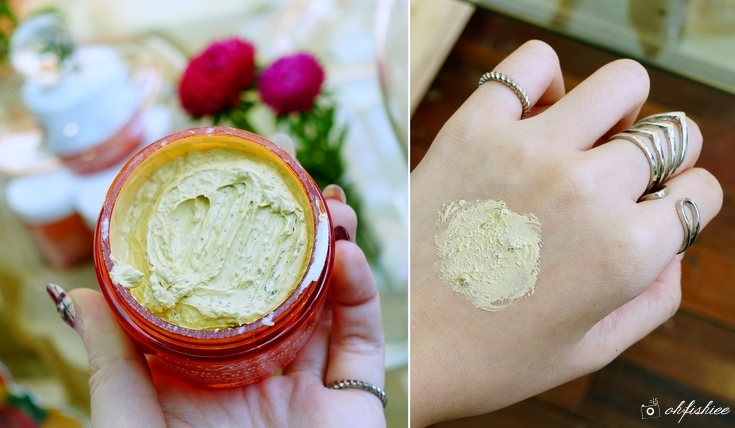 This innovative 99.6% naturally-derived facial masque is herb-scented, in green gel-like form. When applying a thin layer on skin after the daily skincare, it gives a light, refreshing feeling on the skin. Just use it every 3-4 days, to effectively restore skin smoothness and luminousity, while reducing the appearance of fine lines. If you need a more powerful masque to give an immediate lift to the overall complexion, this energizing radiance masque will work great as an “instant facial” by brightening and energizing the look of dull, fatigued skin to restore a healthy, rosy appearance. No doubt Cranberry is a rich source of antioxidants. But its crushed seeds can also be used as a gently exfoliator for a smoother, brighter and illuminated complexion. Turmeric Extract, a common ingredient in our meals, is also a perfect 'food' for our skin. It acts as a natural cleanser to detox the skin from impurities, treat skin imperfections and improve skin radiance as it has strong antioxidant, anti-septic and sebum balancing properties. I have a try on this, and the texture is amazing! It feels like the clay mask, but does not dry up when applied on skin. So, apply a thin layer on cleansed skin (once or twice a week) before your moisturizer, so that it helps to properly cleanse the skin without leaving any pore clogging residue. The skin then feels more renewed, refreshed, refined, softer and smoother immediately after using it. After a month, you'd be proud of your brighter and more radiant complexion! I find them equally effective to deliver deep cleansing and moisturizing functions, but if you feel like trying them first, feel free to visit any Kiehl's store and obtain your sample. 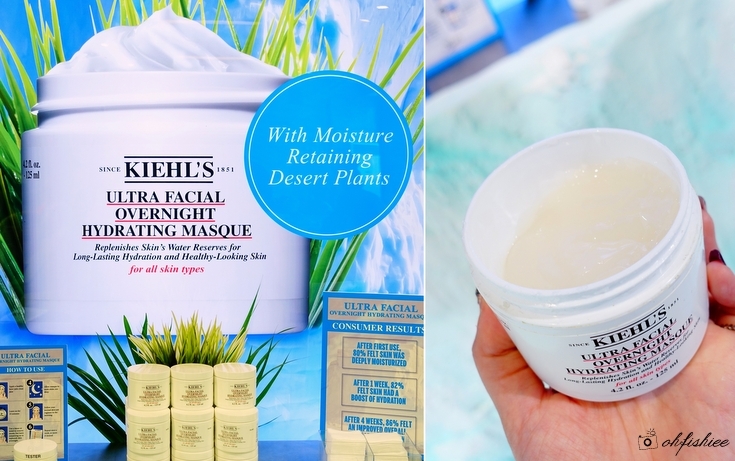 Both the new masque items are available in all Kiehl's stores nationwide now! Good post. Thanks for sharing with us. I just loved your way of presentation. I enjoyed reading this .Thanks for sharing and keep writing. It is good to read blogs like this. As constantly, we appreciate yourself assurance and accept as true within us. custom essay helps college students to enhance traditional essay writing abilities. Other than the college syllabus, writing ability is likewise needed to broaden self-development.